I am one of 60 illustrators who illustrated sixty date events in French history for a book called La France Qui Gueule! Ces Dates Qui Ont Bousculé Notre Histoire. The above image appears with an entry on March 22, 1968. On that date, students at Nanterre University occupied the administration building in response to the arrest of a student who had been arrested days earlier for hurling items at the American Express building to protest the United States’ escalation of the war in Vietnam. Police were called in and a public scuffle (some might call it a riot) ensued. The incident gave the students a great deal of attention and inspired similar occupations at universities around the country setting the stage for a nationwide strike in May. If you like French history and illustration get the book, which features art by Jean Jullien, Steebz, Vincent Mahé, Alexandre Clérisse, François Olislaeger and many others. It is available Oct. 7. John W. Tomac is an illustrator who specializes in creating conceptual images with a little bit of mid-century styling. John grew up in Stratford, Conn., earned a Bachelor of Fi… Show more. Send a message directly to John W. Tomac. 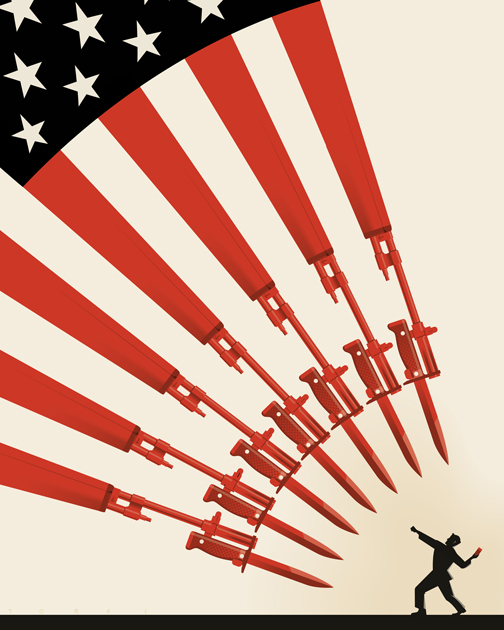 John W. Tomac is an illustrator who specializes in creating conceptual images with a little bit of mid-century styling. John grew up in Stratford, Conn., earned a Bachelor of Fine Arts degree at the Rochester Institute of Technology, and currently lives and works in New York with his wife, two sons and one-eyed chihuahua.